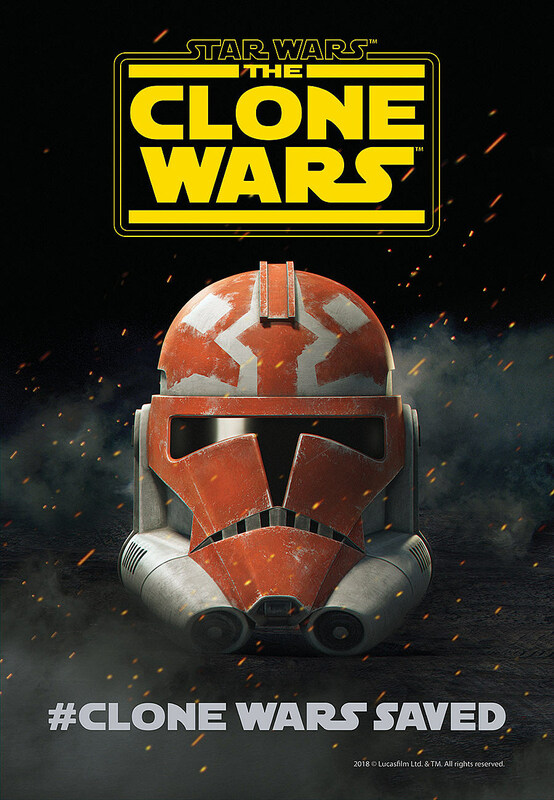 Star Wars: The Clone Wars is officially returning. Thursday’s Clone Wars panel at San Diego Comic-Con was supposed to be nothing more than a 10th anniversary celebration of the Dave Filoni animated series. But that quickly turned into a major news announcement: The Clone Wars is coming back for a seventh season, and the first official trailer is here. The series originally aired in 2008 on Cartoon Network for five seasons before it was cancelled in 2013. Netflix picked up the final sixth season a year later for a set of episodes, but after that it looked like the end of Clone Wars. Now the animated series will back for 12 brand-new episodes to continue the story. As starwars.com reveals, the revived series will air exclusively on Disney’s upcoming streaming service sometime in 2019. It’ll just be one of many new series (including a live-action one) set in the galaxy far far away, all set to premiere on the studio’s new streaming platform. Check out the trailer above and the new poster below.